politicalbetting.com » Blog Archive » Can the SNP and Greens work together in the pro-independence campaign? Can the SNP and Greens work together in the pro-independence campaign? 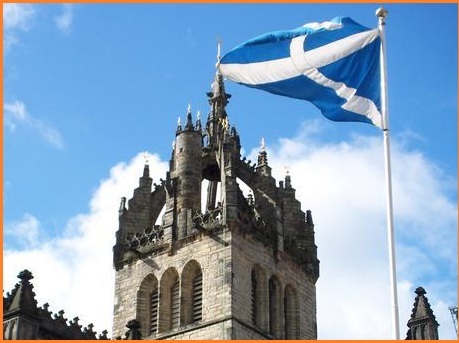 If there is to be a Yes vote in the Scottish independence referendum, a prerequisite is surely that the Yes campaign itself is as broadly-based as possible, and extends well beyond the SNPâ€™s ranks. The potential is certainly there â€“ the Scottish Green Party is supportive of independence, and its charismatic leader Patrick Harvie attended the Yes launch, where he was accorded virtual parity with Alex Salmond. The Scottish Socialist Party will also be campaigning for a Yes vote, as will the popular independent politicians Margo MacDonald and Dennis Canavan. However, doubt has recently been cast on whether all of these disparate groups and individuals will be able to work together under the same umbrella, with some press reports indicating that the Greens and Margo MacDonald were withdrawing from the official Yes Scotland campaign. Those reports have since been vehemently denied. The Greens have made clear that, while they have concerns about the SNPâ€™s dominance of the campaign, they have yet to make a decision about whether to participate, and will do so at their annual conference. The alternative would be to run their own pro-independence campaign, stressing the partyâ€™s preference for an independent Scotland that breaks decisively from the Westminster model. Even the merest possibility of two â€˜competingâ€™ campaigns ought to concern anyone who wants to see a Yes victory. Veteran nationalists are haunted by memories of the 1979 devolution referendum, which produced a much lower Yes vote than initially expected. To some extent this was due to tribal hatred between Labour and the SNP, and their inability to work together. Labourâ€™s Donald Dewar later learnt the lessons of that campaign, and as a result was remarkably generous towards the SNP during the second devolution referendum in 1997. The gut instinct of many Labour MPs and activists would have been to portray a Yes vote to devolution as a vote against both the status quo and independence. Instead, they were instructed to effectively go along with the SNP line that devolution could open the way for independence in the future â€“ but only if the Scottish people voted for it. The result of that unprecedented compromise was a whopping victory for the Yes side. The present-day Yes campaign must follow the same path, and show generosity to the aspirations of the smaller participants. Perhaps the reason why it has found it difficult to do so thus far is that Yes Scotland is more lop-sided than its 1997 forerunner, with the SNP supplying the vast bulk of the manpower and finance. But it would be a strength, not a weakness to acknowledge that there are multiple views within the campaign about what an independent Scotland would look like. The electorate are mature enough to understand, for example, that a Yes vote is not automatically a vote for the SNPâ€™s preference of retaining the monarchy, or for the Greensâ€™ preference of an elected Head of State. There was a spoof tweet the other day that made me laugh : â€œHow on earth are we going to settle all these impossible questions? An election or something?â€ Quite so. Itâ€™s for political parties to argue the case for their preferred model of independence in a post-referendum election. The Yes campaign ought to be coalescing around support for the principle of independence itself â€“ nothing more, nothing less. But that means the Greens will have to give a little as well. In many ways, their complaint seems to be not that the Yes campaign is not inclusive enough, but that it is not exclusive enough. They believe that only by providing a very specific manifesto for an independent Scotland will the Yes campaign be able to excite people. But while the Green vision for independence would indeed excite many people, it would also repel huge numbers of centrist and centre-right voters. All of the component parts of the Yes campaign will therefore have to modify their outlook somewhat and adhere to the guiding principle : â€œother versions of independence are also availableâ€.